Access Control is one of the key security systems that commonly deployed in Offices all over Singapore. 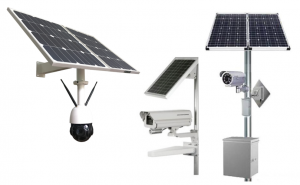 At T3 Security Integration, depending on your security access control requirements, we are able to seamless Combine and Converge all 3 types of access security systems, ie. Hardwired, Wire-free and Wireless into an integrated Office Door access system that best aligns with your organization’s daily operational needs. With our Door Access System, you get to enjoy a total flexibility of Managing & Assigning of access control credentials profiles from some specific people within your organization. Giving of access rights to employees who just newly come to the organization. When a staff misplaced their access card, the card can easily be blacklisted and taken out of the electronic access control system. With immediate effect, Each and Every of the standalone access control locks in the system will be promptly updated on the Lost and blacklisted card. Key control management is a major issue even with modern digital access locking systems available in Singapore. This means that Each time a modification is made to the assignment of access control rights (eg. card credential deleted, New card credential added), each of the offline battery-operated lock has to be manually updated. This manually updated has to be done on Conventional access control systems as they authenticate based on a whitelist system, whereby user credentials are granted access only if their credential is stored in the internal storage memory of the specific lock. If you have made a wrong investment on an unsuitable predecessor digital access control system, you end up discarding away your hard earned investment as your access control needs grow over the in the future. Usually, as your company grows in size and scale, from 50 doors and above, you will experience a requirement to extend the access control system deployment to a significantly bigger number of doors. When such scenarios occur, the management of key credential will be a logistical unmanageable. 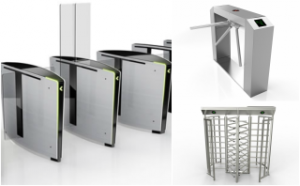 If needed, for a higher level of security safeguard, the access control system can be custom configured to detect incidences of failed entry attempts. Base on Security Clearance level of the area, Access control systems can also offer flexible customizable configuration control over users access rights. For example, all staff can gain access through the main entrance of a building but access to internal sensitive areas may be restricted only to those who have a genuine official need to be there. Access may also be restricted by time, where the access control system only grants employee entry access to particular personnel at certain times of day or night. This can be indicative of an entry attempt when the employee tried to access a premise outside of the authorized time period. With time zones control functionality, you can create a pre-defined time schedule that helps you to enforce when entry access request is allowed to be granted. For example, you can configure the access control system up so that a particular staff will only be allowed access to the office building during normal working hours from 8 a.m. to 6 p.m. In this instance, if the particular worker attempts to enter the office at another time, they will be denied entry and be physically locked out. With a highly customized and hierarchical access control levels, you can effectively determine which employees are assigned a predefined set of access control privileges. If you have a physically secured area that you want to be protected against unauthorized entry access, such as an inventory storage room, you can now effectively decide which employees are allowed to enter the entrance. With an access control system implementation that makes use of secure authentication credentials, such as RFID access cards, you are now able to individually custom control the security settings for each access control authentication device. As each and every access control card automatically leaves a secure audit trail, you can find out Where and When each employee has gone in the office building with a searchable report. In the event that the digital Access control system detects the entry access request from an access card credential that was previously reported a loss, the Access control system will automatically deny granting entry access and send an alert to building security management to verify if the cardholder is an unauthorized intruder. By providing a precise control of your building facility, you can be assured that those leaving your organization can be removed with a few clicks using the access control management interface. This drastically reduces your risks keeping you and your employees safe and secure. Access control systems enable you to systematically track and record down the movement of every occupant of the building facility. This helps to automatically provide an audit trail of everywhere everyone went or. With an integrated access control technology, you now have the capability to specifically control Who can go Where and When, and even Where they tried to go. A common example of access control application is the automated access control barrier gate installed in front of a residential community. Often, in most residential properties, they’ll have 2 entry lanes, with one side for residents and one side for outside guests. 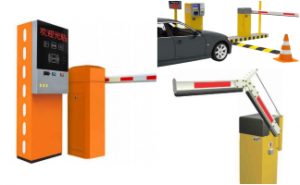 The resident side may open entry automatically when the proximity reader in an Access control system wirelessly detects a special Long-range RFID tag or Access card inside the vehicle. On the guest’s side, you may have an Alphanumeric PIN keypad, in which you can to enter in a PIN code that will either open the gate or dial to contact the homeowner to have them send an access code to the residential control gates. Another example o involving the use of access control would be when you enter a high-security building facility, where internal employees need to have special access cards to gain entry into specific areas within the office building. Access control is an important aspect of building security in Singapore. 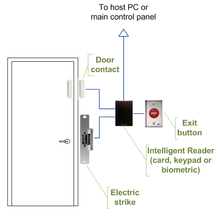 Specifically, Electronic Door Access control is the integration of electronic hardware and software that securely controls the physical access to entry points of a secure building structure or property. Access control can be used suitably for both implementations in Commercial or Residential applications. Access control empowers you to effectively control who has access to your home or business. While physical locks and keys also provide security, it can prove to be a huge inconvenience and an added expense to physically replace the mechanical keys and locks when keys are lost or stolen. All businesses whether small, medium or large have valuable assets that need to be protected and with over 10 years in the security business, T3 Security Integration will help you safeguard your business assets. We only use top-name manufacturer brands to ensure your electronic access control systems are Efficient, Convenient and provide the physical security protection you need for your home or business. Once an access control system is installed, all doors controlled by the access control system will automatically be securely locked when the door is closed close. Anyone without the correct access PIN code or access token will be denied entry. Our line of smart access control card is compatible with by our access control Identity Manager software, which is compatible with Windows OS and most highly developed PKI infrastructures. To satisfy the needs of our current physical access control customers, our smart cards can be customized to seamlessly integrate with the pre-existing physical access control technology that you are already implementing. Smart cards generally offer the lowest total cost of ownership and are the most secure and convenient logical and physical access control smart card solution available in the market today. So how does a Digital access control system works? Each authorized person, such as staff or visitor has issued an RFID card or key fob that functions like their actual physical key to gain entry access your building facility. By scanning the RFID access card (eg. 13.56MHz MIFARE, HID iCLASS, DESFire, DESFIRE Evolution 1, Pico pass) on the card reader sensor of the access control system, the user can then tell the access control system what type of access rights this specific personnel is authorized to receive. For example Which specific doors they can allow using and When they can use them. With a simply a few clicks with a mouse, you as a facility security manager can reliably retrieve any past history record of movement activity needed. The IP access control reader has the capability to fully leverages the organization’s IT infrastructure by eliminating the need for an external electronic controller. It is a versatile multi-class card reader and a controller unit innovatively housed within a single unit and integrates easily to any access door via a single Cat5 cable interface. Our access control readers offer unsurpassed Convenience, Cost savings, and Security through offering numerous features for your access control system. Simple, Flexible, and Secure, our electronic access control solutions are able to bring smart security intelligence right to your physical door. Whether it’s providing simple IDs for visitors or more sophisticated access cards for employees, businesses are looking for an effective yet economical way to badge personnel in multiple locations and with varying levels of security clearance. In the Physical Security Systems market, there are essentially 2 generic types of Digital access control system – Wired and Wireless. 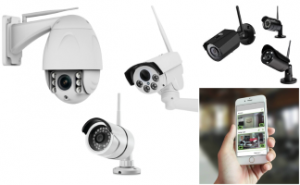 At T3 Security Integration, we have both extremely advanced wired and wireless access control that serves to provide more than just offering access control into you building premises. Usually, in a standard electronic access control configuration, it involves various components, such as the System controller, Wall mounted access authentication reader and an Operating element (eg. some sort of Electric strike, Motorized lock, Electromagnet etc). In addition to the expense of all the components mentioned earlier, one of the significant cost comes from the Installation manpower cost needed to get the door up & fully running. We estimate that the deployment cost is as much as 50% of the total cost. Why is Digital Access Control Necessary? For many decades, primitive locks and keys have been used as a primary form of access control to secure entry access into building facilities and to protect assets & properties. In addition, as conventional physical keys can be illegally duplicated by internal staff. This potentially enables the keys to fall in the wrong hands without you even knowing, exposing the company to risk of unauthorized entry access, which can escalate to other security threats, such as Corporate espionage, Theft of business assets or Trade secrets information data. This is an especially serious security breach in a company when employees leave the organization without surrendering in all the keys that were issued to them. in the event of an untraceable loss of physical keys or suspicion of any unauthorized duplication, the only viable option available to mitigate any risk of security breach is to physically replace the entire door lock mechanism. This mechanical lock replacement each time there is a lost key can be extremely cost-prohibitive. Unlike digital access control systems, a physical locks and keys system lacks the ability to control specifically at which time of the day or Day of the week when the keys can be used. This means that physical keys effectively grants the key holder free unmonitored access to high-security rooms (eg. such as Server rooms), secured facilities and company Assets without any time restriction. Electronic Access control addresses all of these security shortcomings by replacing mechanical locks with intelligently controlled system devices. In recent years, CIOs worldwide have been tasked with the challenge of securing their company corporate networks from internal and external security threats. Within the last decade, IT groups have been challenged with the task of managing the enterprise’s physical access security as well. 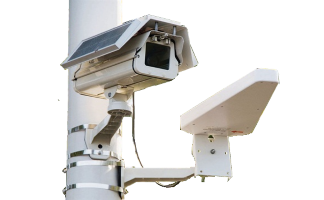 Increasingly enterprise organizations have become aware of the benefits needed to utilize security solutions that can grow and expand upon the existing IT and physical security infrastructures. From scalable security management solutions to secure employee ID badging technologies, T3 Security Integration offers your company a future-proof access solution for today that will continue to work with you tomorrow. Access control panels are essentially the central brains behind the access control system. Usually, the access control panel is made up of an electronic circuit board installed inside an enclosed control box along with the electrical power supply. Sometimes, there is an emergency battery power backup as well to account for a situation of power loss. The number of access points or doors you can control depends on by the technical specification and capabilities of the particular access control board you use. For example, you might buy a four-door access control board that can be upgraded to control up to eight doors at a later time. These access control readers can wirelessly detect a person who has a compatible authenticating device on them such as an RFID Access card or Key fob. 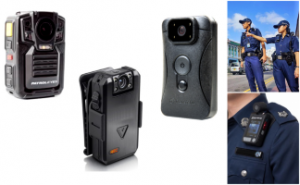 Depending on the proximity reader equipment chosen, it can detect the personal identification devices at varying distances. 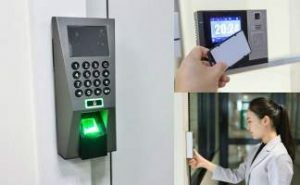 In some cases, the user may have to physically swipe an access card on the access control reader, whereas in other cases, it may be able to detect them at a slightly longer distance. Unlike RFID proximity readers, Alphanumeric keypads require the user to key in a uniquely issued access PIN code directly into the unit. Biometric Fingerprint, Finger Vein, and facial recognition access control readers can reliably recognize a user’s unique biometric features to determine appropriate authorization access for that person. For extra durability, many access control readers also come in a vandal proof variants. Vandal proof models are much resistant to vandalism and are usually weatherproof, making it suitable for outdoor installation. Many companies also use the integrated time management features in their access control system as an employee time clocking device. Some of the types of access control cards include Smart cards (eg. 13.56MHz MIFARE, HID iCLASS, DESFire, DESFIRE Evolution 1, Pico pass) and Long distance cards, which is the most commonly used detection device in a typical access control system. The physical range that the RFID access cards can communicate and the amount of information that they can store will depend on the card technical specifications. Smart cards are similar but can also hold extra useful personal information about the user such as medical info or can even be used as an employee debit card for making payments. Key Fobs are essentially the same as access cards but can be used as a key-chain. Some even have LED lights and sounds that provide feedback the user if they’ve been granted or denied entry access. Once the user has been granted entry access, it must send an electronic signal to the door locking mechanism to physically unlock it. In such access control application, the door must have an electronically controlled equipment that is compatible with the access control system. The two most widely used mechanisms are Electric door strikes and Maglocks. Maglocks are electric powered magnets that will hold the door closed until the access control system sends a digital signal to unlock the door. Exit buttons and Bars usually go on the other side of a door and allow a user to swiftly request exit from a secured area. We offer are a wide range of exit buttons and bars, whereby some are simple electric powered press-to-exit buttons and some are pneumatic. Pneumatic buttons generally do not rely on external electrical power so an exit is possible even when electrical power isn’t available. There are also exit buttons models with a delay feature for more secure areas where the user must wait for a few seconds before an exit is granted. Although many access control solutions come with integrated Access control software, some access control system implementation may require additional software modules to perform more advanced access control functionality. The access control software is where you as the facility security manager will manage users access rights, access schedules and more. 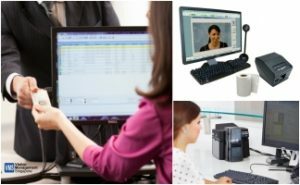 There are many other add-on software available, such as Time and Attendance Tracking, Visitor access management and Video management. For more detailed information on access control hardware and software, feel free to visit our company website page at T3 Security Integration. Access Card printer and Encoder can save you precious time by Printing, Reading and Write up to three different card access control technologies in a single pass card. The access control system is an ideal solution for issuing employee access ID cards for multiple locations. Equipped with an Ethernet connection port and an internal print server, you can easily install our access card printer on your network as easily as any other work-group printer. From great-looking photo ID cards to high volume card printing and encoding applications, the access card printer and the encoder is a perfect choice. Our professional and experienced team of security engineers will slowly guide you through every step of the access control system design and installation process so that you are able to make an informed decision with no obligation to us. 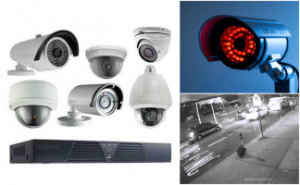 Let one of our highly experienced and professionally trained representatives tailored to your security needs and find/propose the right security access control solutions for you. Being the Singapore’s trusted leader in secure identity management solutions for years, T3 Security Integration is your trusted enterprise security solutions partner that will be there to deliver when you need us. 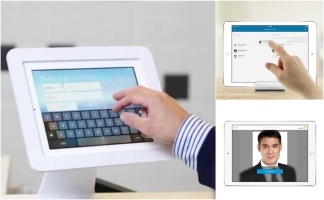 To learn out more about the access control solutions T3 Security Integration offers large corporations or businesses, please contact us at 81822236 for a no obligation discussion of your needs. Learn more what Access Control can do for your company today by calling us today at 6100 8374 for a no obligation discussion of your needs and requirements. Our knowledgeable and friendly consulting representative will be happy to assist you and share with you in details the benefits & features of electronic Access Control in your organization.